This past weekend we were invited to a pot luck dinner. I live out in the country in a beautiful valley. The pot luck was for all the people that live in the valley. My neighbor is an elderly gentleman and was the person that set this pot luck up. I have lived in this valley for 15 years and find it funny that I have been driving past the same houses for these past 15 years, but I really didn’t know too many of the people that came to this event. I wanted to make something simple that I thought people would enjoy. Something that was easy to transport, something that I could put in my crock-pot. 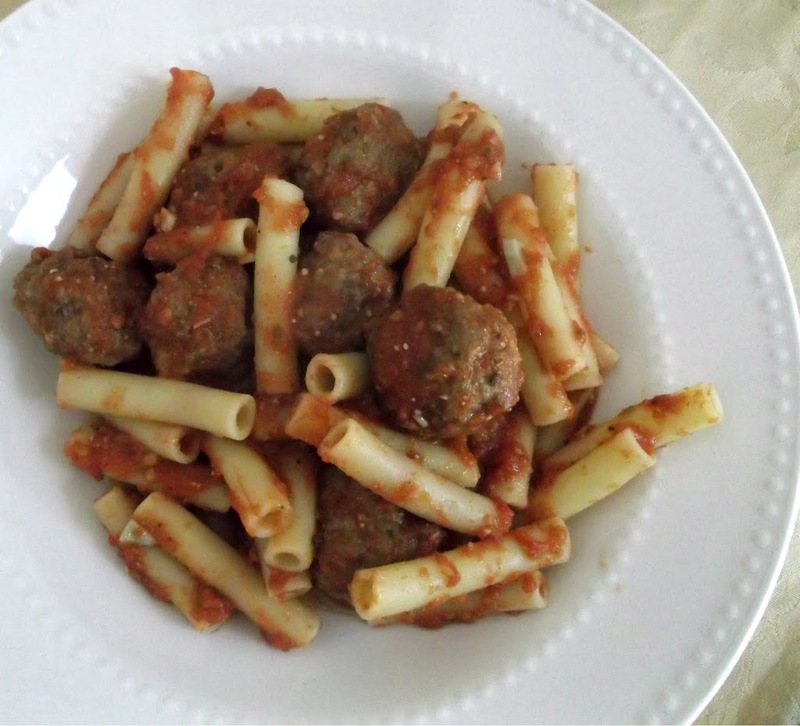 When I ran across this Italian Meatball Subs at the Taste of Homes site, the meatballs and the sauce sounded so wonderful I decided to add pasta to it instead of making them into a sub. The meatballs are cooked under the broiler, this was so simple. I will be making meatballs like this more often; it was super fast and less messy than frying them on top of the stove. 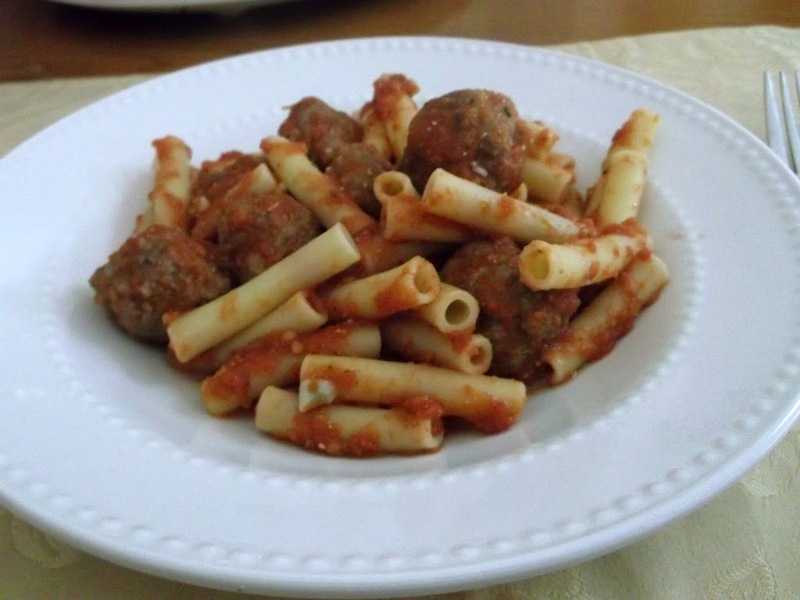 I would suggest this recipe if you are looking for a simple crock-pot recipe for meatballs and sauce. You can add pasta to it or if you like you could use the meatballs and sauce to make the subs, I think they would be amazing. Don’t you just love when you run across a simple and delicious dish? It does make life a little bit simpler. Enjoy! In a large bowl, combine egg and milk; add the bread crumbs, cheese, salt, pepper and garlic powder. Add beef and sausage; mix well. Shape into 1-inch balls. Broil 4 inches from the heat for 4 minutes; turn and broil 3 more minutes. Transfer to a 5 or 6 quart crock-pot. Add tomatoes, green peppers, and onion to a blender, blend until smooth. (If you prefer and want a chunkier sauce chop these 3 ingredients).Combined the remaining ingredients and mix well; pour over meatballs. Cover and cook on low for 4-5 hours. Cook pasta according to directions and add before serving or if you prefer the subs, serve on rolls. Cooks notes: This is a double recipe, if you prefer you can cut in half. I don’t think I’ve ever seen a recipe for broiled meatballs before – great idea. And cooking them in the crock-pot makes them so easy! 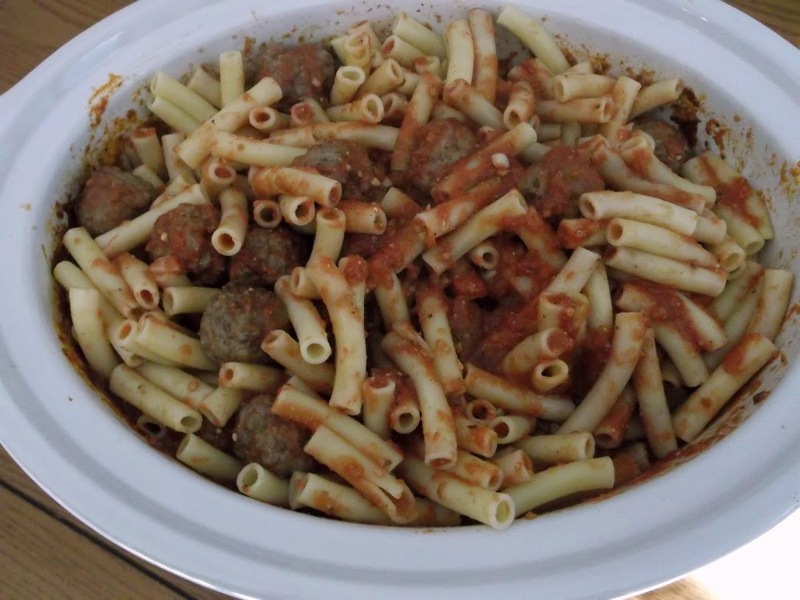 Who can resist meatballs and pasta? I sure can’t! Good stuff – thanks. Oh my goodness, this looks divine! Can you believe I have never made meatballs before? I need to do that soon! My kind of comfort food – yum!